Me and Bobby McGee was written by Kris Kristofferson and Fred Foster. 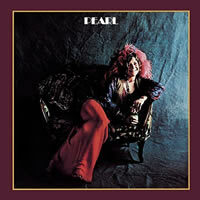 Single released on Jan 11, 1971 from the album Pearl. Song Keys: G Major (1 sharp - F#) with a key change to A Major (3 sharps - F# C# G#) after the first chorus, going into the second verse. 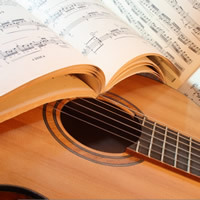 In the Intro, the GaddC chord is simply played by playing a G chord using fingers 2, 3, and 4, and adding the C note with your first finger (first fret, 2nd string). You don't have to play the chord, but it does add a nice touch. 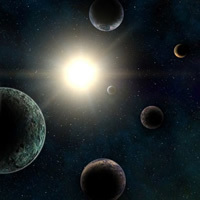 Instead of | A | A | A | E |, try | A - A7 | A - Asus4 | A - A7 | E |... or make up your own. | E | E | E | E | could also have been written as | E | % | % | % | where the repeat sign % signifies a repeat of the previous bar. Associations: Big Brother and the Holding Company, Kozmic Blues Band, Full Tilt Boogie Band, Grateful Dead, Kris Kristofferson. 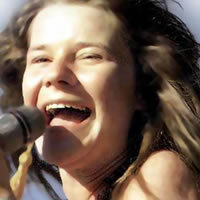 JANIS JOPLIN chords and lyrics are property and copyright of their owners. "Me & Bobby McGee" chords and lyrics are provided for educational purposes and personal use only.